Artist residency programs vary widely in structure, location, design, and prestige. For both Chris Kallmyer and Jonathan Allen, residencies play a key role in their creative process. They connected recently to discuss the opportunities, challenges and support residencies can provide for the development of both private research and collaborative projects. Jonathan Allen: First of all, do residencies generally play an important part in your creative process, and if so, how? Chris Kallmyer: I think they are quite important! I’ve noticed that when I get a chance to go on a residency, my mind and body are moving very quickly at the beginning ­– and in the process of my time there, I begin to slow down and reset the work through more casual experiments, encouraging whims, or devoting days to walking and meditating. Time granted at a residency doesn’t produce a lot of work for me, but helps me to plant seeds for future works. I find that the residency bears fruit months or often years later as the ideas or methods developed in the residency percolate, disappear, and reappear in unusual ways. I try to find a residency every two years to help reset the work. I’ve spent time at Headlands Center for the Arts, Goldwell Open Air Museum, and then a number of more goal-oriented residencies with Machine Project, a storefront/collective here in Los Angeles. At Machine Project, we have had a series of long-term residencies with spaces like the Hammer Museum or the Walker Art Center. These residencies gave us a chance to expand our mission as a collective and exercise projects that utilize the resources of the museum space that are unique from our storefront in Echo Park. During these projects we made music in coatrooms, offering live guitarists giving personal museum soundtracks, or inviting the public to cut the lawn surrounding the museum. At home, its not very exciting to have a speed-metal guitarist hang around and play something really loud and fast on the hour every hour, but in a museum this can expand what is comfortable for the institution. Allen: Artists approach residency experiences differently – for some it is a necessary disruption and leads to experimentation. Others work pragmatically, arriving with specific goals that they then execute. Do you usually fall into one of these camps? Kallmyer: Totally the former camp; I feel like I’m always executing in my normal life. I keep a busy schedule as a performer and artist, so to have a month or so to disrupt this process is invaluable to me. I crave it every two years and get itchy if I don’t find a chance to reset in some rural place where I’m not pressured with a deadline. I think another part of residency life is simplifying your responsibilities: usually I’m an artist/husband/dog-father. But when I’m at a residency, I’m just an artist! Allen: Is there a specific residency you can identify where an experience or information arising during the residency directly informed or altered your creative plan? Kallmyer: In 2010, I went to work at the Goldwell Open Air Museum in Rhyolite, Nevada. Rhyolite is a ghost town on the rim of Death Valley where summertime temperatures often hit 120 degrees Fahrenheit. This residency accepted me as a trumpet player paired with a longtime composer-collaborator Matt Sargent, but Matt and I soon found that a trumpet seemed to be the wrong tool to explore the storied nature of the town and surrounding abandoned gold mines. I ended up walking the desert each day and collecting objects left behind by the people who lived there, including many glass bottles. These old bottles could create a beautiful pure tone when they would catch the wind. 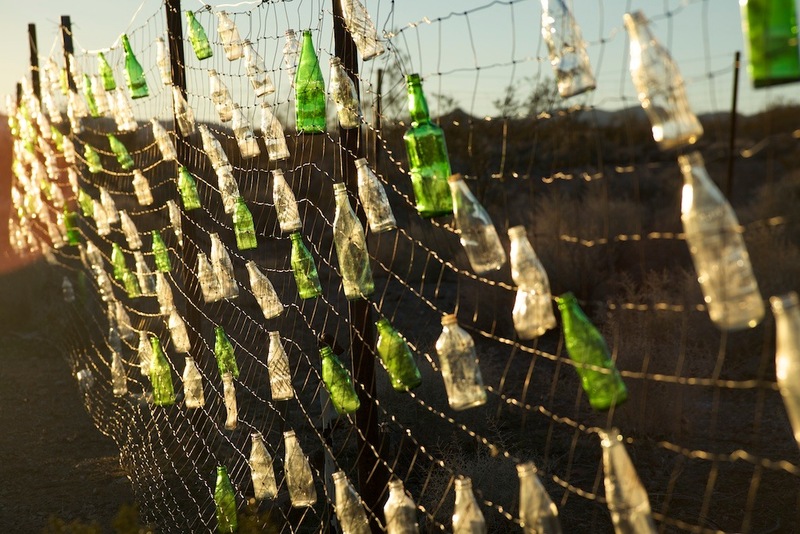 Over the course of our July in this little ghost town, I collected over 200 bottles to build a wind-activated sound installation on a fence. It is still there! Also, this project has turned into an LP that is coming out this spring – a proper recording of the fence with new music by Julia Holter and Lucky Dragons that also addresses the nature of the desert regions surrounding Los Angeles. I’m really into flows and processes and this project has turned into another in a very exciting way! Allen: There are myriad structures to residency programs, but a consistent tension throughout them all seems to exist between social time versus studio time. For example, the Liguria Study Center and Blue Mountain Center require residents to dine together, forming intense social bonds quickly over shared meals. At the other extreme, the Cill Rialaig Project offers no structured social programming: residents are left entirely to themselves. How have you navigated the social pressures of residency experiences? Kallmyer: I’m a very social person – but I really require solitary personal space if I’m to experiment or tinker with risky ideas or methods. I found it difficult at these residencies because people would just pop into the studio, which is a sacred and quiet space for me. As a positive, I learned so much about how other artists viewed my work: I come from music, and the whole critical language of visual art became more available to me. At the residency, my studio-mates are a sounding board, an extra set of eyes, or someone to chat with over an end-of-day whiskey or long walk. I cherish the time we can spend talking over the deep issues in our field, and it is a relationship that is important in any residency. Equally, I learned to keep my door shut when I really needed space or if I was working on durational pieces. Sound is very inviting – so working on a sound piece is like a giant invitation to come hang out! I think this is why I crave more solitary residencies without internet, phone, or other people. Turning the tables, Jonathan, let me ask you something. You are an artist but you are also the manager of Lower Manhattan Cultural Council’s Arts Center at Governors Island in New York City. How do you think about the public/private nature of the residency as someone who thinks about the programs from the inside? Allen: The Arts Center at Governors Island is closed to the public for nine months of the year, accessible only on weekdays for resident artists. Then, for three months of the year (Memorial Day – late September), there is public access to Governors Island, and the Arts Center is also open to the public. I think the dual nature of being in residence on Governors Island is one of its most valuable and salient features, and it informs artists’ processes in unexpected ways. For most of the year, artists work in relative solitude on the Island, but the open-plan arrangement keeps everyone’s works in process visible, so everyone can see what everyone else is working on. It’s inspiring! LMCC presents Open Studios and other regular programming in the Arts Center, which is composed of twenty studios for visual artists and writers, a gallery, and two rehearsal studios that are often used by choreographers. This activity, which is all free, draws the public into the building. And this public component, I feel, shifts artists into a more conversational and communicative mode about their work. My experience is that the visitors – whether they are “happening upon” the studios on the way to a picnic in the park, or are seeking out a cultural experience – ask thoughtful questions and are very engaged with us and our work. Allen: What’s the longest residency you’ve participated in? What’s the shortest? How was your process influenced by these differences in time? Kallmyer: The shortest was two weeks: too short. For me, the first two weeks of a residency are for slowing down. After this period, the “real work begins” as I see it. I feel cleaner. I start to notice things about the space, the site, the weather, the light. I feel like I can be more present in the studio and less worried about life back home. In contrast, I spent ten months making work as part of a fellowship with the Pulitzer Arts Foundation in St Louis. This was low-residency, and I spent the year traveling back and forth from California to the Midwest. This gave me time to get to know community and the site in a holistic way: their concerns, fears, loves, the acoustical nature of the space, and the social aura around the Pulitzer. This was shortly after Michael Brown was murdered in Ferguson, and I felt an immense pressure to create space within the work for other artists, craftspeople, and thinkers living in the city – to ask them to engage with each other, and also the museum, which I consider an immense resource for stillness in a city that was on edge (and still is today). With this long arc, I could create something that was hyper-regional and a true amalgam of the place. 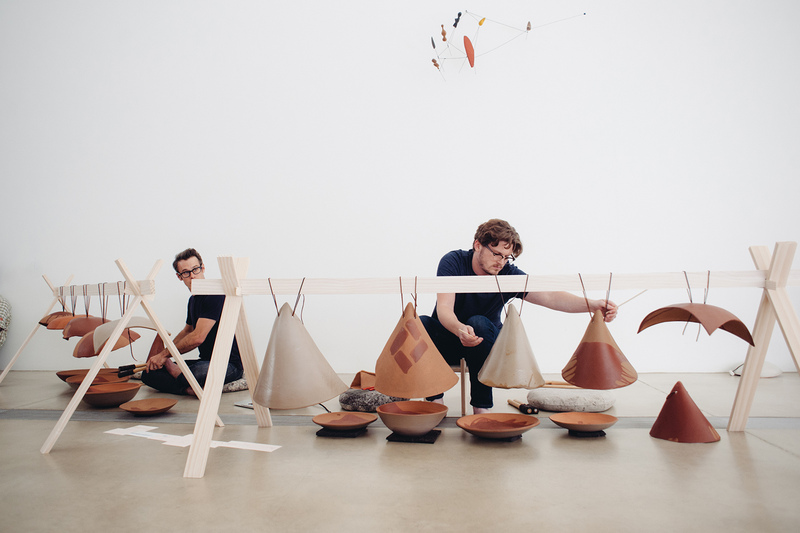 Also, I wanted to do something different: so we prototyped a design for an earthenware chime and made fifty of these giant bells from local clay dug from the banks of the Mississippi River. The piece calls on the city’s history with brick (it was the largest producer in the world in the early twentieth century), the prominence of brick theft today (people are literally stealing houses), and the communal nature of music making with an ensemble of local artists, designers, thinkers, and doers. The chimes were used in a concert of music composed collaboratively with this group of people who live in St Louis, and I think the piece was a catalyst for their interaction – a platform for negotiating the difficult times in the city and country as a whole. Allen: Do you have any general thought on the trend towards residencies? Kallmyer: I find it really fulfilling to be involved in my community at home – working with other artists and thinking about the health of the creative ecology in our cities. It is our responsibility to create post-graduate alternative education models for artists just out of school, which means spending time in one community and bettering your community through projects, mentorship, providing spaces for younger artists … none of this is possible while you are traveling most of the year for residencies which are effectively private spaces. I think the socially private nature of the residency space means it’s a “sometimes” space for me. This is why I think the trend towards residencies is odd: we are at a time of increasingly public art making practices so it’s interesting that these two trends run opposite at the same time. 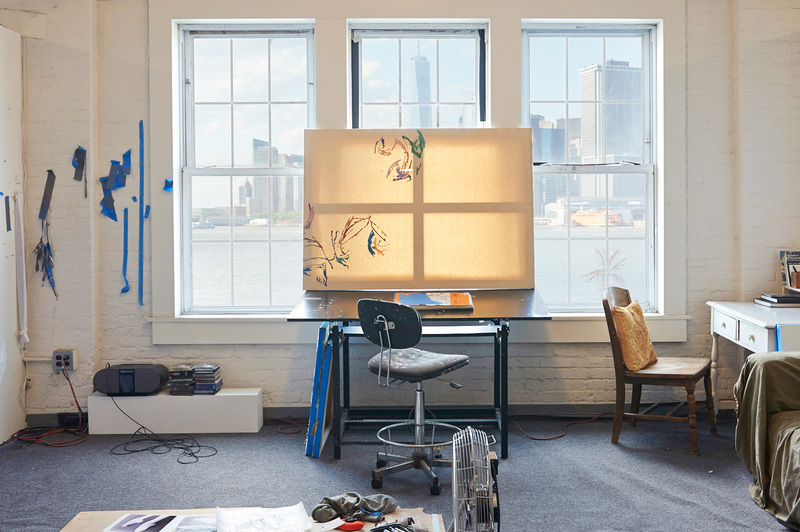 It seems increasingly common to find residency spaces (like yours at Governors Island) that offer studio space, but also public art events and open studios. It is a much more porous model that invites the public into the residency equation. How do you envision residency spaces changing in the coming years to accommodate this trend? Allen: I can definitely see more residencies operating in this fashion, as a way to engage and challenge both the public and the artists. Having to speak about your work and ideas as well as contextualize your process for an audience is invaluable: it clarifies things internally. For the public it’s rare to be able to peer into artist studios and see works in process. Being exposed to the rigor, nonlinearity, and ambiguity of the creative process brings the arts alive differently than visiting a museum or gallery. It becomes a vital living process, not just a product. 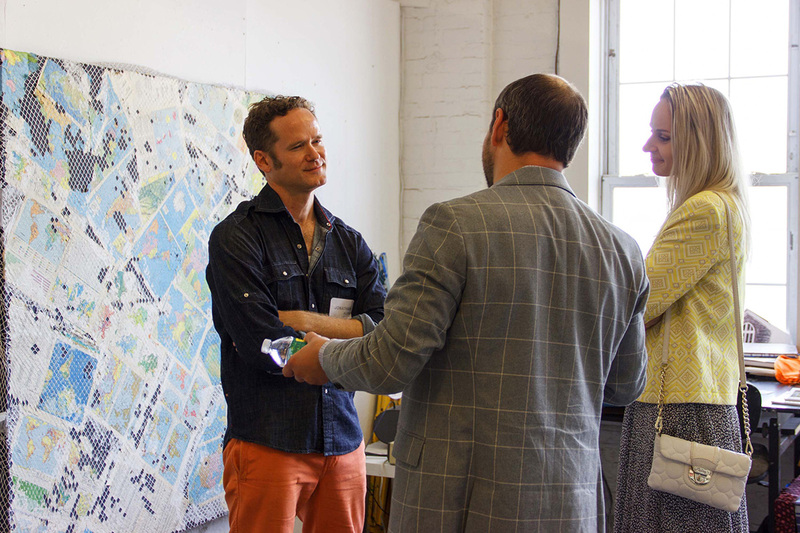 Many visitors to the Arts Center walk away invigorated and enlivened by their conversations with artists. LMCC’s residency programs value this exchange between audience and artists– it puts the creative process at the center of a shared experience. Thinking of a different model, I attended a talk recently at Times Square Arts, a new residency program set in the middle of New York’s Time Square. It seems to encapsulate the friction you’re describing here, between the private and the public. Residents are asked to engage with the energy of Times Square. How do you think you would approach such a public residency? Kallmyer: Emily Pulitzer told me recently that she created her space in St Louis as equal parts laboratory and sanctuary. I feel like a residency space, even in Times Square, could couple these two forces. I’d love to make a series of sonic-spa-like-works at painfully high volumes or nearly silent concerts to be experienced at a great distance through parabolic microphones and telescopes. I’d think about small encounters that incorporate some facet of sanctuary and laboratory. Tea House? Field Recording Workshop? Free Yogurt Salon? Mark Allen, my collaborator at Machine always talked about hosting a secret petting zoo in a museum, and maybe Times Square needs one. Allen: Of all the residencies you’ve participated in, which had the best food? Kallmyer: Oh, no doubt: Headlands Center for the Arts. Damon Little is the chef there. Damon. DAMON! Wow. I ate so many unusual things (best-ever head cheese) and learned so much about my own cooking there (I used to work in kitchens after my MFA). I ended up collaborating with Damon on a project about oysters after my time at Headlands: we presented a tasting of Drakes Bay Oysters with synchronized shucking and two-channel video with musical accompaniment on a pump organ (also a bivalve much like an oyster). This, I think, is peak-residency-experience: developing a relationship with a space that lasts for years, not just the month you are there as a “resident.” This is why I look for residencies that fit me and my practice. It’s almost like dating – you want to be with someone who fits you and shares your interests. I have a great relationship with Headlands now, which is a gift. I now have a community in the Bay Area that I love to spend time with, and develop new works – I hope this continues for years. Jonathan Allen is a painter, performer, and curator who frequently collaborates with poets and dancers. Based in New York, he is the 2016 On-Site Assistant at Lower Manhattan Cultural Council's Arts Center on Governors Island. Chris Kallmyer is an artist who explores a participatory approach to making music through touch, taste, and process using everyday objects that point to who we are and where we live. He has presented work in a wide variety of contexts including the Walker Art Center, Hammer Museum, Getty Center, San Francisco Museum of Modern Art, and the Museum of Contemporary Art Denver, among others. 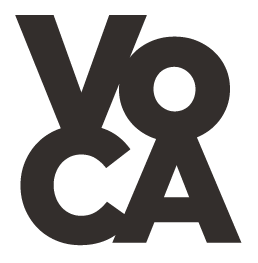 Cite this article as: Jonathan Allen with Chris Kallmyer, "RESET THE WORK," in VoCA Journal, May 15, 2016, http://journal.voca.network/reset-the-work/.